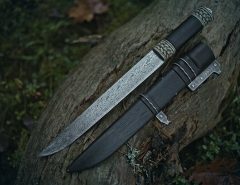 If you use any sort of knife whether for cooking, camping, fishing, survival or hunting, you need it to be sharp. A dull blade does you no good and can be dangerous. A dull blade can cause more cuts than a sharp blade because the dull blade tends to slip when you cut with it and you have to apply extra force and this can cause injuries. 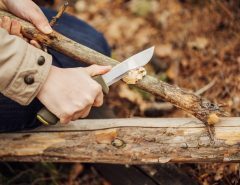 You need a good pocket knife sharpener to ensure your blades are at their best, especially if you’re outdoors and need a knife sharpened. 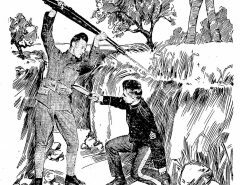 The last thing you want if you’re in a survival situation is to not have a way of sharpening your survival knife. If you don’t have a pocket knife sharpener on your person you’ll have to find a creative way to sharpen your knife. 1 Why Sharpen a Knife? Knife blades will naturally get dull over time and this makes the knife less efficient. 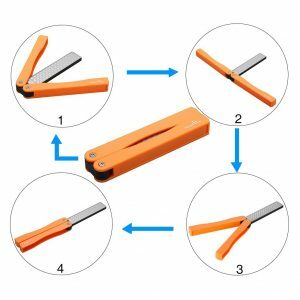 You’ll need to apply more force to cut with it and if it’s too dull, it may not cut at all or slip when you use it which can cause an injury. That’s why it’s really important to have a sharp knife. 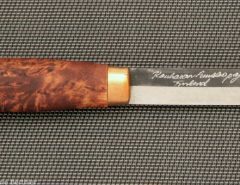 Some knives require sharpening once a week while other ones can be sharpened about once every six months. It’s important to keep the knife sharp because this is when it function at its best for the tasks you need it for. When you’re at home you might have a knife sharpening system such as using Japanese water stones or whetstones to get your knife razor sharp but when you’re out in the field you’ll need something more practical. Abrasive hard surface – You want a sharpener that has a hard surface. The abrasiveness of a sharpener is measured in what we call grit. The higher the grit number, the finer the abrasive surface is going to be. 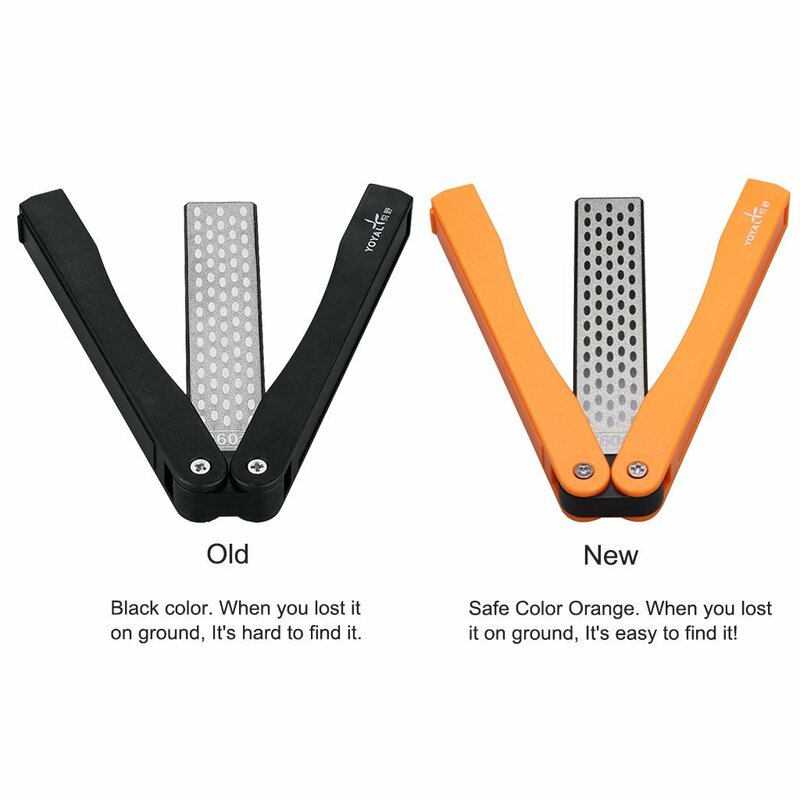 Angles that adjust –The want a sharpener that has adjustable angles so you can learn the proper way to sharpen your knife. This makes sharpening more efficient. 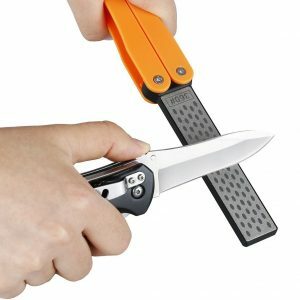 You may or may not need this feature but it is one that I recommend because if you don’t sharpen your knife at the same angle as it was manufactured, you’ll be changing the edge geometry which means it won’t work as intended. 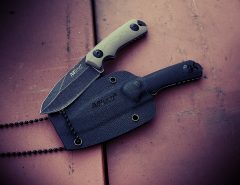 For example, for a bushcraft knife, you won’t a big angle, say 20 degrees on each side so that it can handle tough tasks. If you sharpen at 10 degrees on each side the edge will be much thinner and will incur damage much easier. 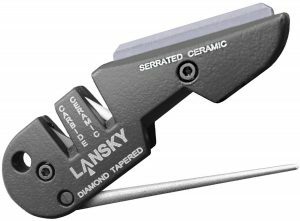 Sharpening stages – A good sharpener has multiple sharpening stages. For example, a sharpener will have a stage for grit to shape a dull knife and then a stage for touch ups and polishing of the knife. Safety – A good sharpener will have safety features such as a barrier between your fingers and the blade of the knife. You should set a decent budget for the sharpener you buy because you want one that offer you some quality. 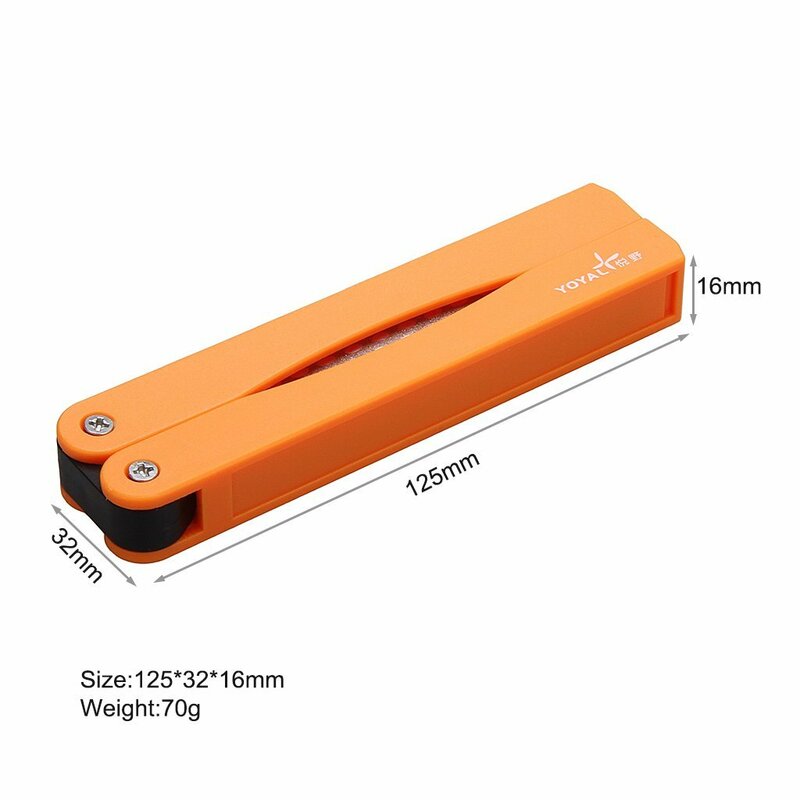 You don’t want to use a cheap sharpener because it might not sharpen the blade correctly and it could even damage the blade making the knife useless. There’s no point in buying a high quality fixed blade knife or folding knife and it not be sharp. A decent pocket knife sharpener can be used on different types of blades like a tanto blade or a karambit. Here’s a few suggestions regarding models you might want to consider buying. 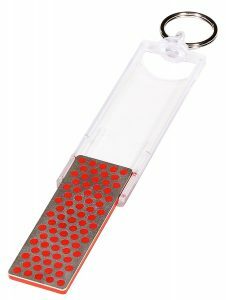 This is a lightweight pocket knife sharpener and can sharpen dull or damaged knifes with ease due to the Carbide V plates. These plates help to develop a smooth and polished knife edge. 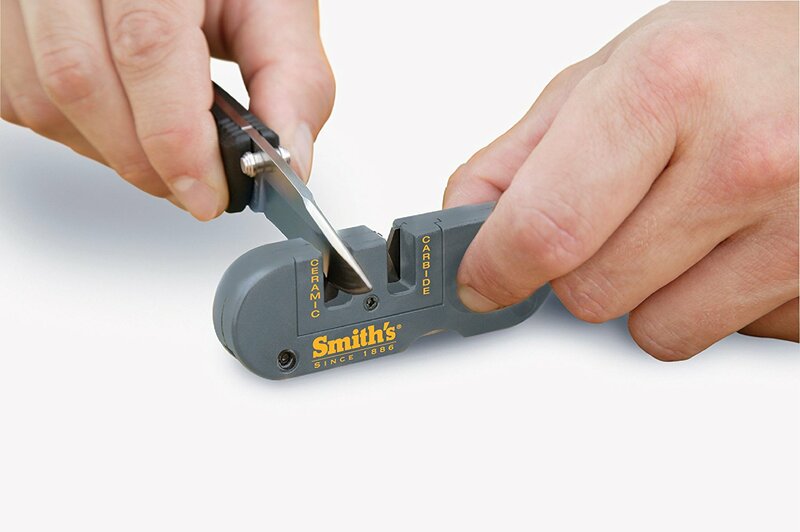 There’s pre-set sharpening angles so you get consistent results with this pocket knife sharpener. 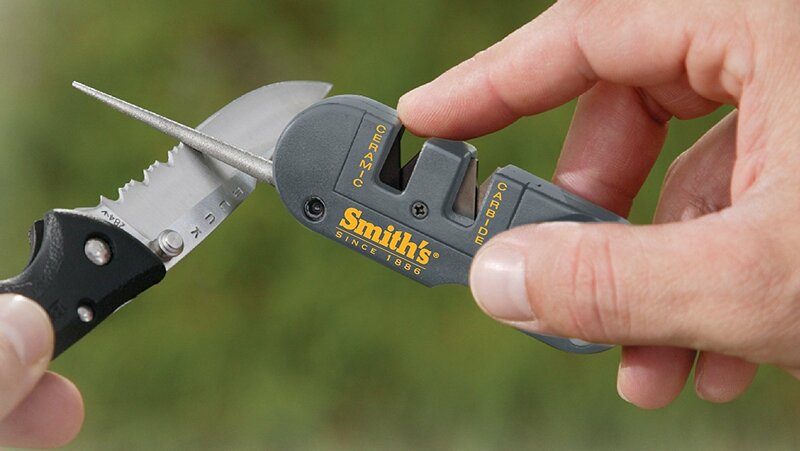 This sharpener can be clipped to your keys with ease for an easy carry wherever you are. This one if perfect for camping, fishing, hunting, and other outdoor activities. 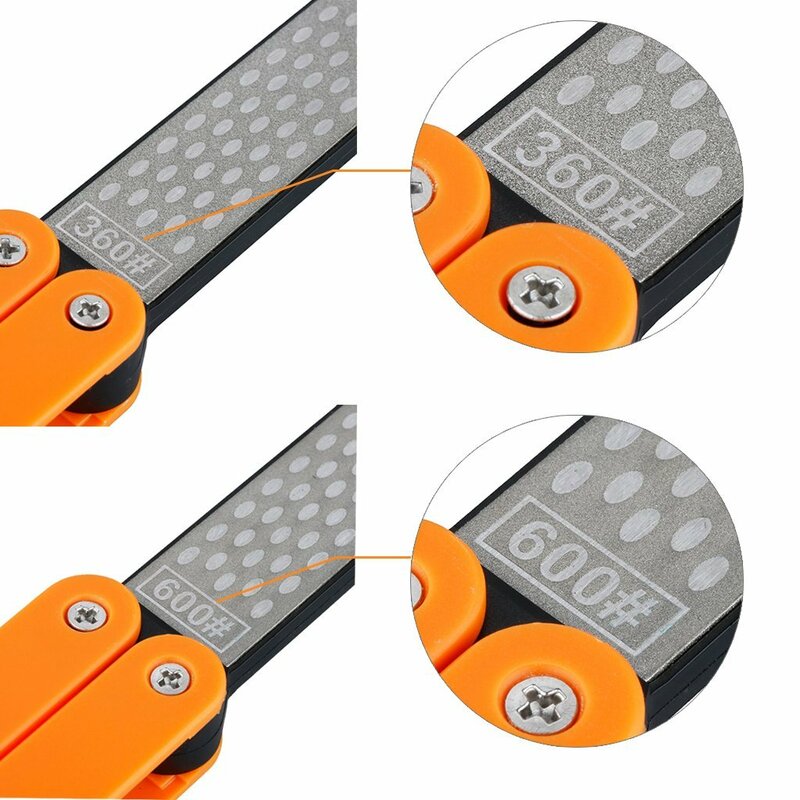 Just keep in mind that the carbide sharpener is a very aggressive sharpener and basically hacks off metal so only use it if your blade has some damage or is blunt. Use the ceramic side for just maintaining a sharp edge. 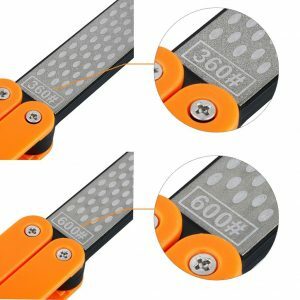 The little rod that comes out of the sharpener is for serrated edges. This sharpener features a diamond tapered rod and can recondition as well as sharpen a knife edge with ease. All you need is a few strokes through the Tungsten Carbide V rod section and any nicks in the blade will be removed. You can give the blade a few more strokes and it will be nicely polished with this knife sharpener. This sharpener is a bit heavier than other models, but it’s still a very good sharpener. 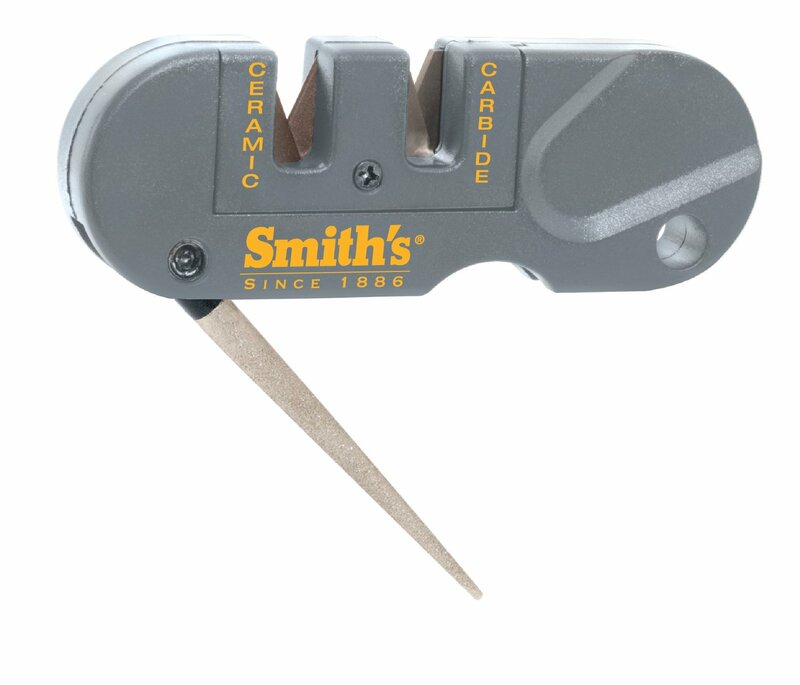 This is a small sharpener at just 23 grams, but you can get a razor edge with this either dry or with water. It features a monocrystalline diamond surface. The crystals all you to use more of the surface area of the sharpener so this one is up to six times more effective than regular sharpening stones. This stone can even sharpen other items like garden tools or anything that needs a sharp edge. This sharpener is small and will fit on your keyring without any problems. It features a carbide V plate slot and you can get a blade edge sharp in just a few stokes. It features non-slip rubber inserts on the bottom and the top so you get good grip and stability when using the sharpener on a hard surface. This is a larger and heavier sharpener, but it gets the job done. It features a Diamond-electroplated surface for more sharpening efficiency. 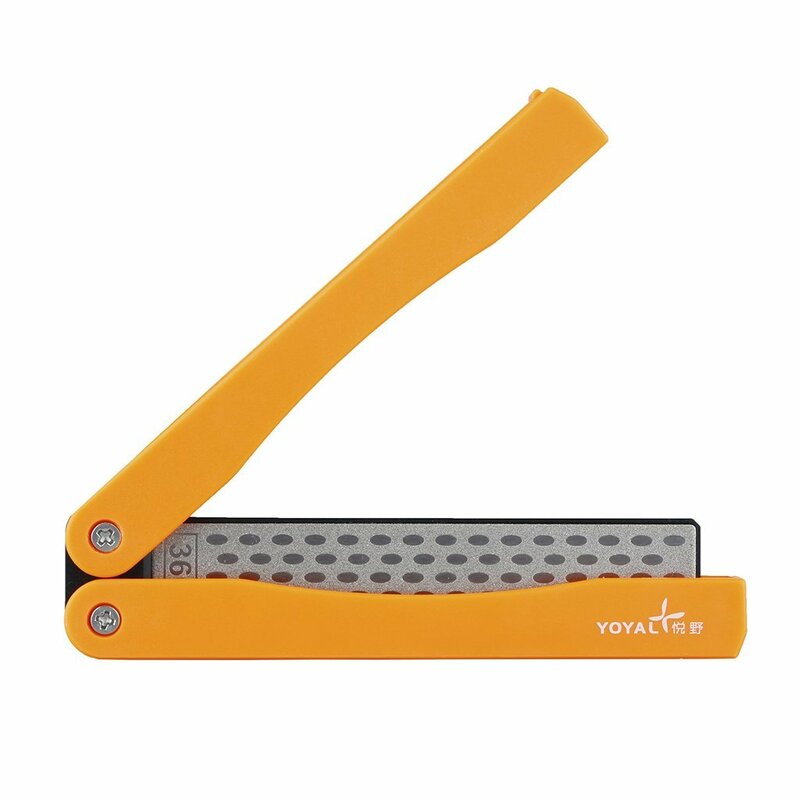 It has a folding handle assembly so you can hold the sharpener comfortably in your hand. There’s a double-sided design with one side featuring 360 Grit coarse grain for sharpening and 600 Grit on the other side for more fine edge work. This company makes the classic Swiss Army Knife design and this sharpener is a handy pen-shaped sharpener. It features an interchangeable edge and rod finisher. 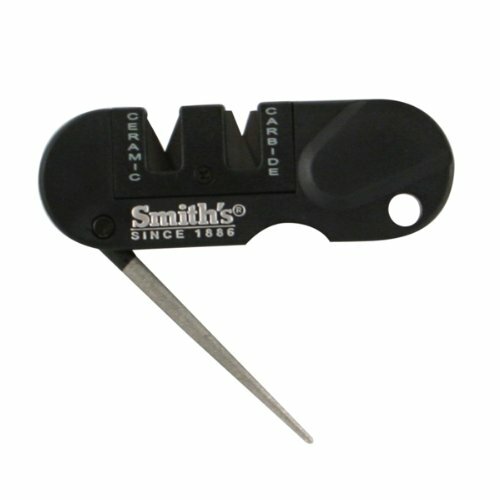 The sharpener is small and can fit in a tool belt or your pocket with ease. This one takes a bit of work to get used to, but it does a good job of sharpening your blade. 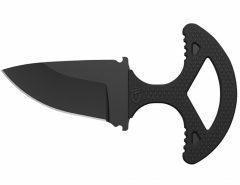 This sharpener is great for campers, hikers, and hunting trips. It features crossed coarse carbide blades. The crossed fine ceramic rods can bring your blade back to the sharpness that you need. 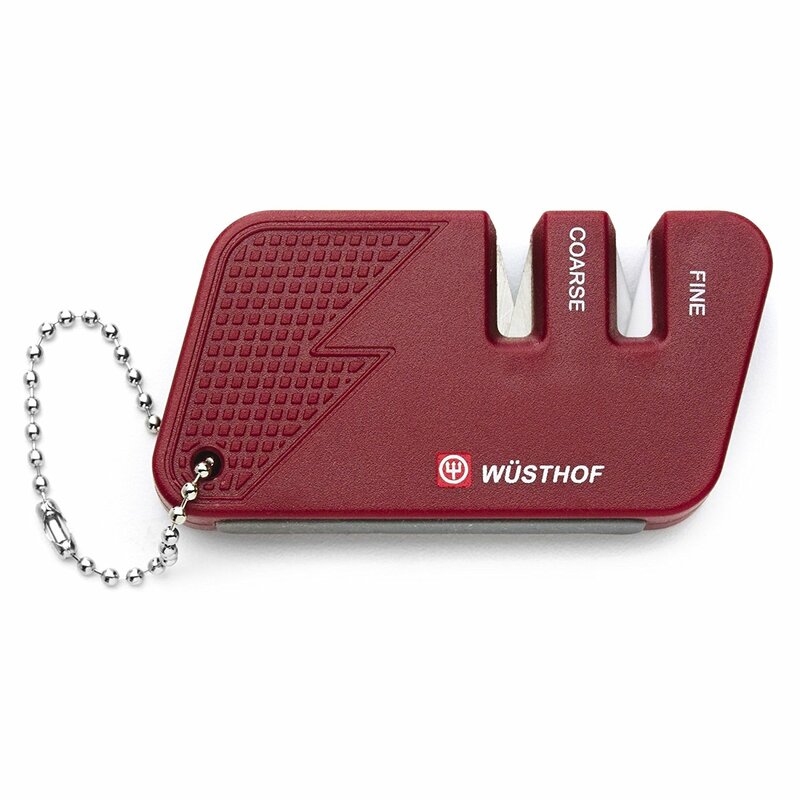 It features a chain so you can clip it to a backpack or wherever you can reach it with ease. 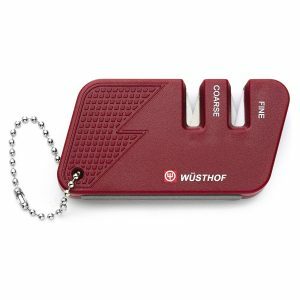 It has a non-slip rubber base so it will stay sturdy on hard surfaces while you sharpen the blade. These are some examples of the best pocket knife sharpeners that you can buy. You need to ensure that you buy a quality sharpener so all your blades are at their very best. You don’t want to work with dull blades as they won’t get the job done and you run the risk of cutting yourself if the dull edge slips.